With Don serving as Chairman, these three individuals have worked tirelessly to plan and organize activities and events in the Village for the last five years. They stepped up to the plate (pun intended) and took responsibility for recruiting a great team of helpers to join with them to form an Activities Committee. This allowed the Board to create a charter and funding policies so that the committee could function properly. Earlier this year, Don, Sandy and Lois tendered their resignations, giving plenty of notice to the Board. Because they announced their plans to Village residents, the Board was able to identify someone to take the position of Activities Committee Chair earlier than anticipated. The Board of Directors has accepted the resignations of Don, Sandy and Lois effective October 19 and will be announcing the new Chairperson next week. The Board wishes to express thanks and appreciation to Don, Sandy and Lois. We hope Sue Beach, Jan Billings, Mike Palma, Coralee Peake and Jan and Warren Koepsel will choose to remain on the committee. They too, have been hard-working and valuable members of the Activities Committee. I moved to Show Low from Phoenix in April of 1954. At the ripe old age of four months, I had no say in that decision. 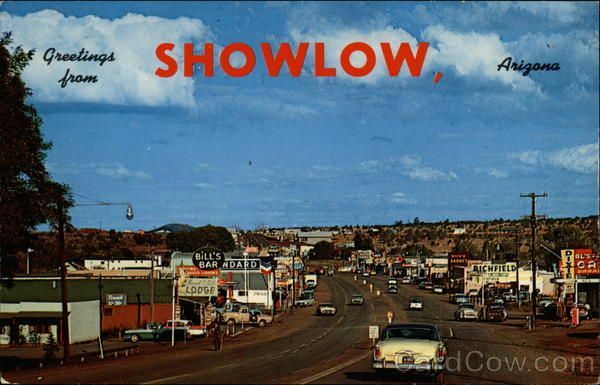 My mother was from the area and my dad loved Show Low. Show Low is quite different now. Not a single stop light existed in the entire White Mountains area for many years. There were no chain hotels and the closest thing to fast food was A & W and Tastee Freez. We could watch a movie at the one screen theater in the middle of town. The mom-and-pop shops that lined the Deuce of Clubs in “downtown” Show Low included a couple of grocery stores, drug store, shoe store, gift shop, several clothing stores and a jewelry store. Sprinkled among those were national brands such as Sprouse-Reitz, Western Auto, Montgomery Ward and Sears. If my mother couldn’t find what she needed at these places, she drove to McNary where there was a general store operated by the company that owned the lumber mill. Tractor Supply now occupies the property where I lived until I was ten years old. The highway was a two lane road. My dad owned seven and a half acres and our house was next to his construction yard. We played hide-and-seek in the septic tanks my dad made on site and we played on all the heavy equipment. Today, they would arrest my parents for letting us do that, but when I was growing up, no one gave it a second thought. I attended what is now Blue Ridge school until my family moved to Show Low Country Club. The houses were few and far between so my sisters and I had the run of the neighborhood. We rode bikes all over and never paid attention to the sparse traffic. The only people coming and going were there to play golf. Our girlish screaming and laughing was probably a real irritant to anyone on the second and third holes. Show Low did not have a high school so I rode a bus twenty miles to Snowflake. I played the flute in the band and orchestra. The band played at the football games and the orchestra played for the school musicals. Most days, I needed to stay late for practice. My mother’s had sisters lived in Taylor so sometimes, I stayed at their houses for the night, but generally, I rode the activity bus home. I usually arrived home around seven o’clock at night. I did a lot of homework on that bus to keep from staying up until midnight. Fall might have been in the air last week, but the air is now full of winter. A light dusting of snow fell Saturday evening in the Village and you can bet everyone is dreaming about warmer meals. I like to warm up with a nice beef stew but some of my friends steer clear of meat these days. 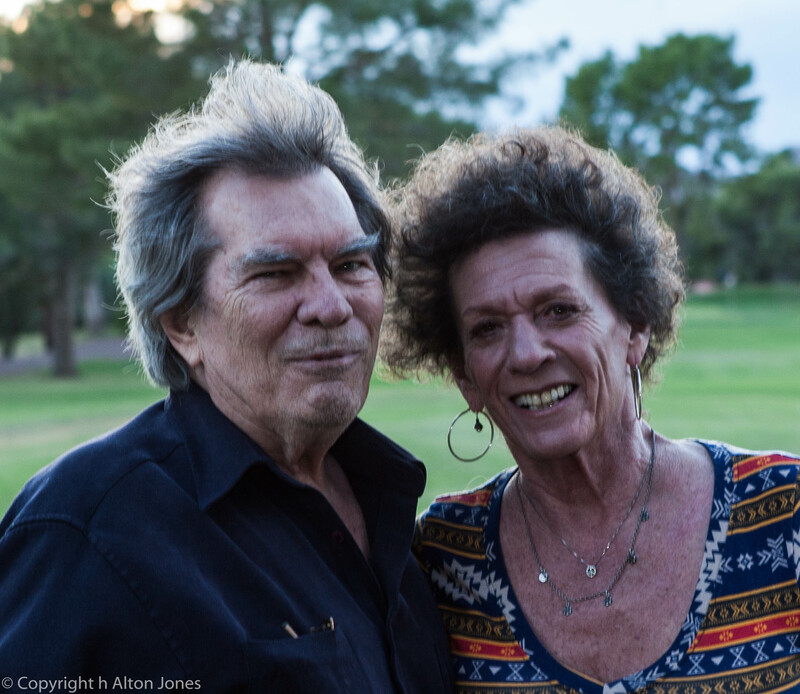 Jerry Riopelle and his wife, Naomi, gave up eating red meat a few years ago. Naomi tells me it was for environmental reasons more than anything. They still like it, they just don’t eat it. When the Riopelle’s come for dinner, I cook chicken or fish. Last winter I created a chicken stew and named it after them. I want to share the recipe with Village residents and tell you about one of the ingredients. Amy Valdés Schwemm is the owner of a company called Mano y Matate. I met her when I took her class on Mexican mole sauces at Desert Botanical Garden in Phoenix a few years ago. Making mole is an all-day process, two if you count gathering all the ingredients before you start. I learned that day in class that I could buy mole powder made by Amy and enjoy the delicious flavors anytime with no effort on my part. The problem for me is that Mano y Matate is in Tucson and the only way I can get it is to order it online. However, once a year Amy comes to the Chiles & Chocolate Festival at Desert Botanical Garden. This year the festival is November 11 -13. I plan to attend and stock up on Amy’s mole powder. In large skillet, melt 2 tablespoons butter with 2 tablespoons olive oil over medium heat. Add onions with salt and pepper and cook until soft and caramelized. Remove to bowl and melt remaining butter with 2 tablespoons olive oil in same pan. Add mushrooms with salt and pepper and cook until soft and brown. Remove to bowl with onions and heat 2 tablespoons olive oil in same pan. Add chicken pieces seasoned with salt and pepper and brown. This can be made one day ahead to this point. Everything can be refrigerated together in a covered container. In large Dutch oven, heat remaining 2 tablespoons oil over medium heat. Add Mole Dulce and sauté for 2 minutes. Add plum tomatoes, chicken broth, chicken, vegetables and corn. Simmer gently for 45 minutes. Add Vermouth, half and half and green onions and heat through. Serve in large bowls with rosemary focaccia. The last social event of the year is Friday October 7th. It’s a great time of year to do a trail ride and should be very enjoyable. The air is crisp and the leaves are beginning to change. 2016 saw many changes in the Village. The year started with a new Association president. Our new neighbor, Woodfield, opened for business. Sherry Watson became our new HOAMCO Community Manager. Mountains Best began doing Association maintenance. The Board began communicating regularly via this blog. A major fire chased residents off the mountain almost before they could settle in for the summer. The Advisory Committee put together a great team and began assessing community needs and wants. The Board always appreciated the spirit of cooperation exhibited by residents. The majority of owners will soon be making their way to winter homes. Please travel safely and enjoy your time away from your friends in the Village. We look forward to your return in the spring.